Philemon is a singer/ songwriter/ multi-instrumentalist from Melbourne who weaves electric guitar with haunting vocals in her own brand of dark folk. After a one year artist residency in 2013 Philemon, who writes on piano, cello and guitar, has found her niche with a Gibson Les Paul and a Strymon pedal. Philemon is the solo project of Leah Avene, an artist born in the small pacific nation of Tuvalu and raised on the south coast of Australia. Philemon has become a unique blend of Celtic and Polynesian heritage. 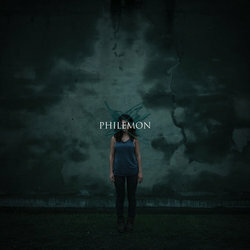 The Philemon project has seen Leah move from traditional folk into a darker ambient sound. This new direction began after a life-altering journey to the depths of depression and mental illness. The process of reconnecting with reality and finding a new way of existing became Philemon – named after a character from an ancient Greek myth. The project is an exploration of love, humility and darkness. From country to tango to sustained electric, Philemon writes of connection, truth, hilarity and pain with warm honesty and dark humour. Philemon’s debut EP Frame was recorded in late 2013 at The Aviary Recording Studios by Fraser Montgomery. It is available online through the Philemon website. Frame is a song about that moment when you look back on you relationship histories, find pattern and start to realise that you might be responsible for attracting certain angry/ violent/ crazy people into your life. It's a reflective and moody vow to choose differently in the future.